No, this is not a spin-off of an Agatha Christie novel. Neither is this a serious, original recipe post (you can get it here), but more of a running commentary about making and eating this sweet goodie. 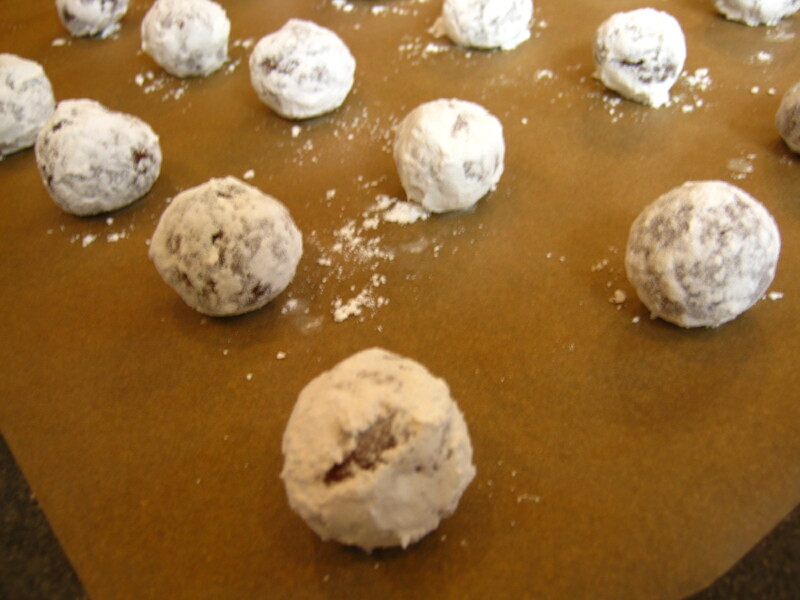 Chocolate crinkles are very much popular back in Manila. This particular cookie is a regular item in school cafeterias, holiday bazaars and specialty bakeries—but not on a supermarket shelf, since it is too soft and fudgy to withstand rough commercial handling. Its soft, fudgy, chocolate-y core hidden beneath the fine dusting of confectioner’s sugar is the dark, sweet secret of its popularity. 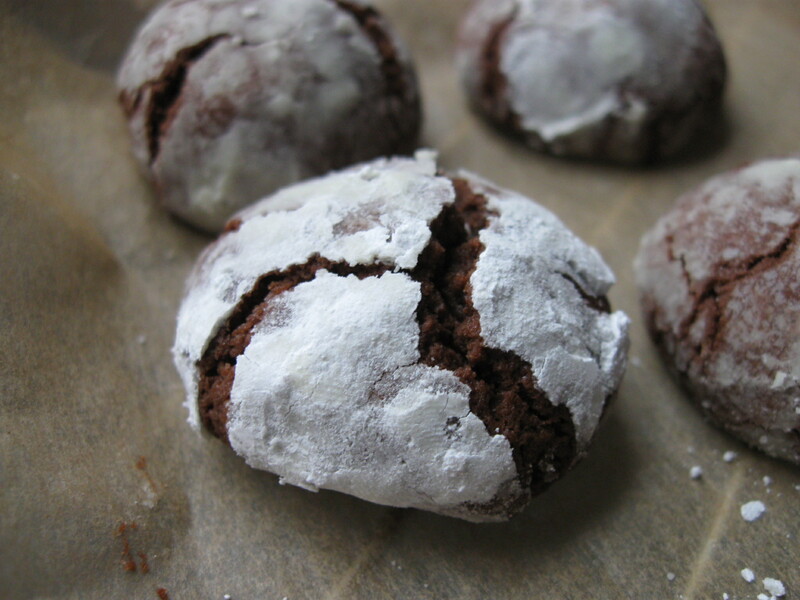 What’s so nice about baking chocolate crinkles is its simplicity—no need for cookie cutters, rolling pins and what-have-you. You can make the dough way ahead of time(it is, in essence, a “dump-everything-and-mix” technique) and store it in the fridge; the dough itself has little moisture, hence the “crinkling” during baking (and storing it in the fridge removes more moisture, thus more “crinkles” on the cookie surface). Perfect go-to baking recipe for a grad student with a sweet tooth, and an instant crowd-pleaser. I mean, who doesn’t like chocolate? Just a few tips: you can go “generic” with the base ingredients like flour and sugar, and even butter (provided that you live in Europe, where standard butter here is “European” butter, with at least 80-85% fat)…but never, EVER scrimp on chocolate! For obvious reasons, of course. And don’t hesitate to experiment with cookie sizes—the recent batch I made were “mini” crinkles, which paired well with vanilla ice cream. Yes, nothing like chocolate, vanilla and sugar to win everyone’s hearts. Just watch your insulin levels, though. Next > Egg-citing? Egg-xotic? Tamagoyaki! as a frequent beneficiary of Kookie’s crinkle cookies, I can attest to their deliciousness!